Dine Alone Records is excited to announce the addition of the band Spain to their North American roster. 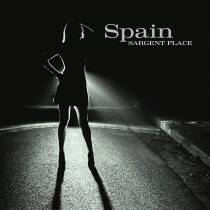 The critically acclaimed Los Angeles based band will release Sargent Place, their highly anticipated fifth studio album, on November 4. Produced by Gus Seyffert, Sargent Place features Josh Haden on vocals and bass, Randy Kirk on keyboards and guitars, Matt Mayhall on drums and lead guitarist Daniel Brummel with special guests Petra Haden and Charlie Haden.